Meet David from Rochester, MN. He is the winner of the Eleuke! I must thank all 354 of you that entered, many people commented many times, and that was the real point of this. 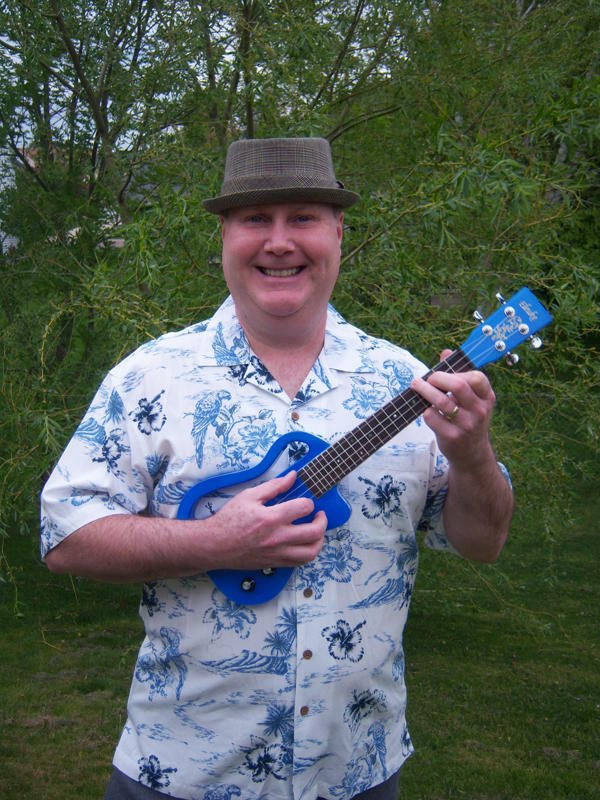 I really wanted to just get people to my site and get people involved in spreading the ukulele love. I will have more in the future. I will be at the Ukulele World Congress and Milwaukee Uke fest (and Windy City if it happens) this summer giving others away. Also I will have some on the site. OH, and if you are ever in need of a pick-me-up, hold a contest to give away a ukulele. People are extra nice and say some of the craziest stuff! Way better than Prozac. Thanks for the cool contest – David looks understandably happy! While the contests are nice, it is the quality of the site that brings me here. David, congrats! Love the shirt! It’s a REALLY COOL ukulele and I am tickled pink that I won it! Thanks so much to Tim for his generosity and for the great work on a fantastic web site! I play ukulele and have some brand with my collections here. I wanna know where can i purchase this new uku. Please let me know and thank you very much. Much blessings on ur business. Click HERE for the full review. It has 2 places that I found that sell them.